How can a computer learn to read an ancient musical score? What can computational tools tell us about the history of popular music? Can a computer system teach a person to become a better public speaker? 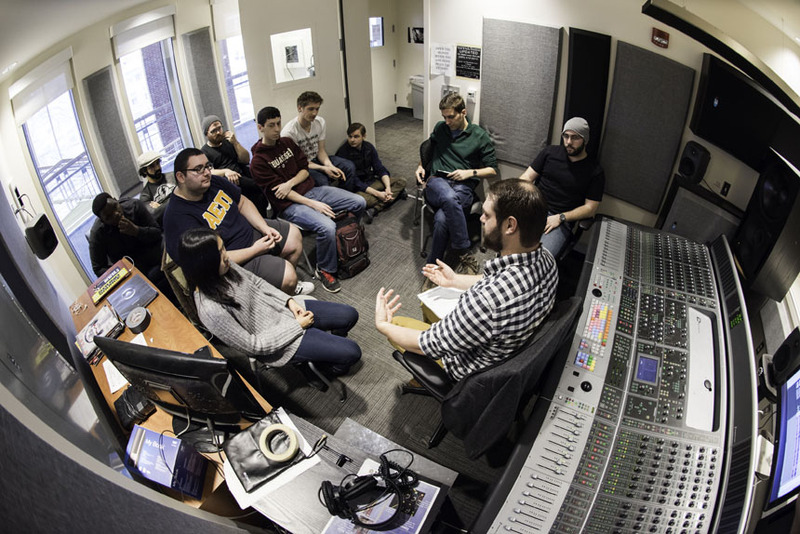 The University is offering a "Computational Methods for Understanding Music, Media, and Minds" research experience for undergraduates (REU) for 10 students with support from a $324,000, three-year grant from the National Science Foundation. Most of the students will come from other institutions, especially ones with limited opportunities for science, technology, engineering, and math (STEM) research. At least half of the students will be from groups underrepresented in STEM fields, including women and minorities. Ten River Campus and Eastman School of Music faculty members—representing brain and cognitive sciences, computer science, electrical and computer engineering, English, musicology, and music theory—will mentor the students, who will work in teams of two on research projects. In addition, four graduate students will work closely with the students to help track their progress, answer questions, and help them become fully integrated into the program. Reconstruction of live performances using algorithms to link audio, video, and the emotional experience of the audience, with Chenliang Xu, assistant professor of computer science; Jiebo Luo, associate professor of computer science; Hoque; and Duan. The program will be based in Wegmans Hall, which is nearing completion as the new home for the Goergen Institute. Students working in labs elsewhere on campus will convene at Wegmans Hall for shared events. The University’s Kearns Center for Leadership and Diversity in Arts, Sciences & Engineering will offer the students workshops on applying for graduate school, Graduate Record Exam preparation, teamwork and time management, and resume writing and interviewing skills, which will also be offered to other undergraduates doing research on campus this summer. The Hajim School of Engineering and Applied Sciences, for example, is hosting another new REU this summer, for 12 students and focusing on the theme “Human Health: Nano to Network.” This is in addition to ongoing REU programs offered by the Departments of Chemistry and Physics, and two other University summer research programs: The Xerox Engineering Research Fellows program for rising juniors and seniors in the Hajim School, and the McNair Scholars Program, aimed at increasing the numbers of low-income, first-generation, and underrepresented minority students who pursue doctoral degrees. The 50 or more students in this summer “scholarship community” will attend weekly lunch colloquiums led by graduate students, postdoctoral fellows, and faculty members, and will showcase their projects at a concluding Research Symposium.